The dancer’s body is simply the luminous manifestation of the soul. The Peace Prayer Mandala unites the sacred teachings of humankind, thus weaving a living expression of enlightenment, peace and connectedness on Earth. The Soul of All is One Soul, and the Truth is One Truth. Join Us! Sandra Kammann leads the Dances of Universal Peace. 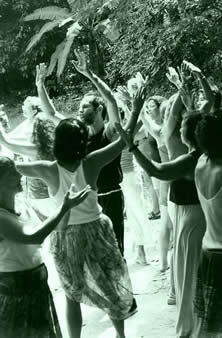 The Dances are a transformative spiritual practice, offered in an atmosphere of authenticity and mindful presence. The Dances of Universal Peace are part of a timeless tradition, invoking an embodied sense of unity, presence and compassion. Created by Sufi teacher and Zen master Samuel L. Lewis, the Dances set sacred text from many spiritual traditions to music and movement. Murshid Sam, as he was known to his Sufi students in the 1960’s, brought forward the Dances and other esoteric practices to awaken the hearts and minds of his Sufi students and create an ecstatic experience of unity. The Dances are carried forward today by the Sufi Ruhaniat International, the Sufi order established by Murshid Sam before his passing, and by the Guidance Council which oversees training and certification of Leaders and Mentors. The more than 400 Dances include themes of peace, healing, and the celebration of life’s great mystery. Since the late 1960’s, the Dances have spread throughout the world, touching more than a half million people in North and South America, eastern and western Europe, Russia and the Baltic countries, India, the Middle East, Africa, Pakistan, Australia, and New Zealand. Grassroots Dance circles are continually springing up around the globe, with over two hundred dance circles in the United States alone. Sandra has led the Dances for schools, spiritual centers in the U.S. and Costa Rica, on the National Mall, in forests and glens, and in Season for Non-Violence ceremony. The Dances can also be shared in therapy groups, prisons, hospice houses, drug rehabilitation centers, retirement villages and holistic health centers. The Dances open us to remembrance of the natural human state – unguarded and authentic. 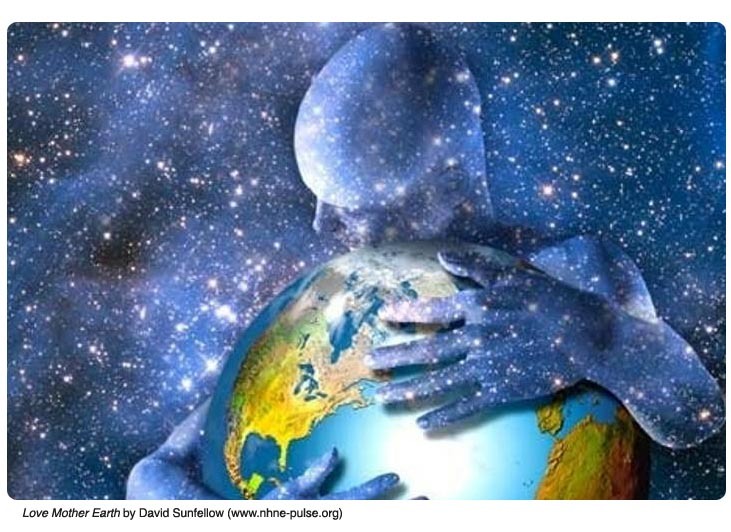 They continue to be, as Samuel Lewis envisioned them, a way to make liberating life-energy and the “peace that passes all understanding” a reality in people’s lives.